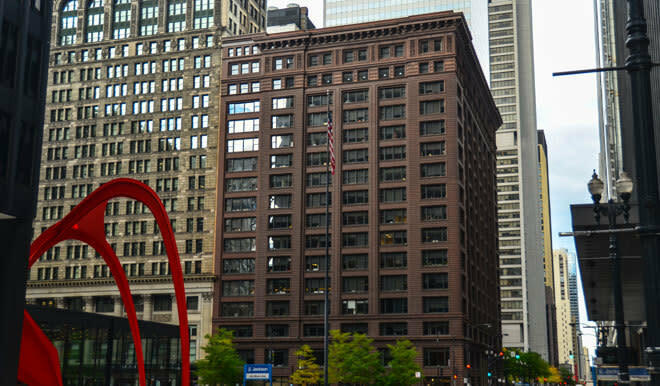 Completed in 1895, this landmark building is a work of art that honors Chicago's history and recalls the city's architectural heritage. 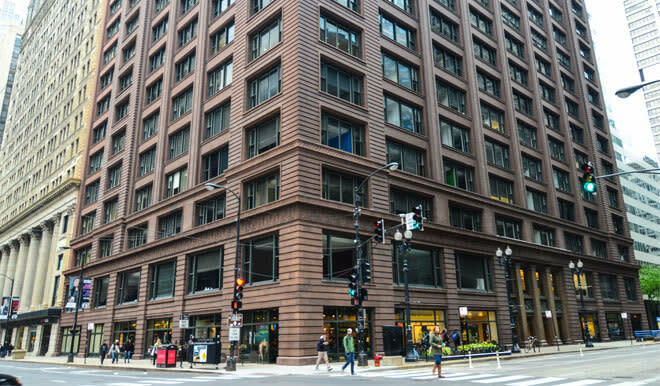 The 16-story building was designed by the "Chicago School of Architecture" firm Holabird & Roche. 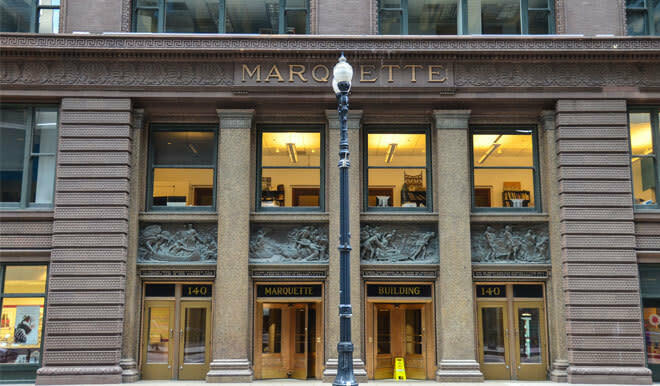 Not to missed aspects of the building include the four bronze panels that capture Father Marquette and Louis Jolliet's journey through what would become Chicago in 1674-75 above the exterior doors. 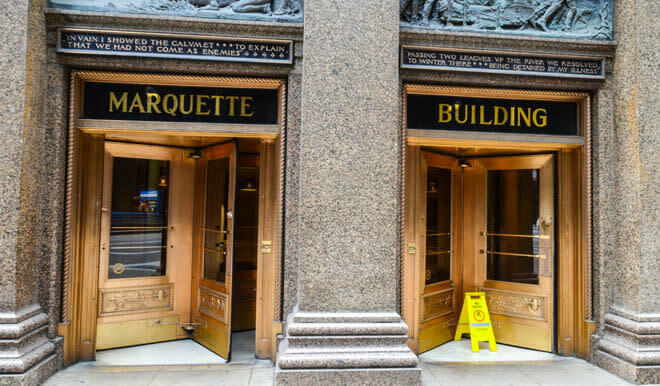 Edward Kemeys sculpted all but two of the bronze busts above the elevators on the 1st and 2nd floors of the lobby, as well as the calumets and panther heads on the entry doors. The rotunda mosaic was designed by J.A. Holzer of the Tiffany Company.